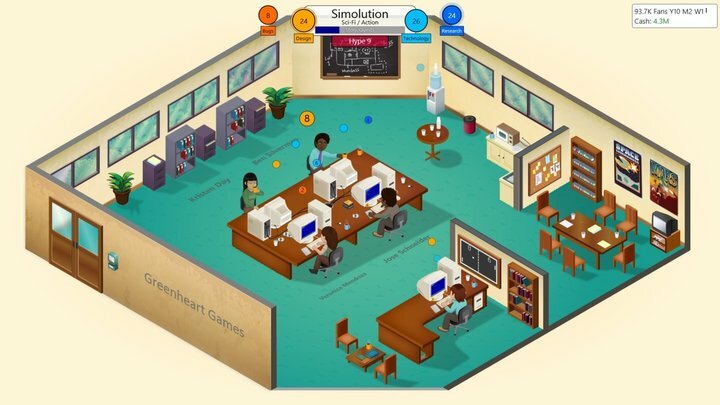 Game Dev Tycoon, a simulation game that tasks you with managing a successful game development studio, is coming to Steam for Windows PC and Mac on Aug. 29, developer Greenheart Games announced on its blog. The game is available to pre-order for $7.99 (usually $9.99) and those who already own the game will receive a Steam key for free. The development team plans to release a Linux version on Valve’s distribution service at a later date. The Steam version features a longer storyline, new platforms, new artwork and the capability to edit a game name before release. New gameplay features include the ability to unlock multi-platform games, a rebalanced review system along with several new gameplay mechanics including post-release game reports and company expertise. The Windows Store and Greenheart Games website versions will also receive the updates and the full changelog is available on the Greenheart Games website. The Linux build at this time is being delayed slightly. The developers have run into some “unforeseen circumstances” and this has caused delay for the Greenheart team. All Game Dev Tycoon versions will also receive language translations soon, the first in Spanish and German, with others languages to follow. Greenheart Games also revealed that the sequel to Game Dev Tycoon, which originally launched December 2012 for PC and graduated Steam Greenlight in May, is planned for “some time in the future” but it won’t be the studio’s next project.